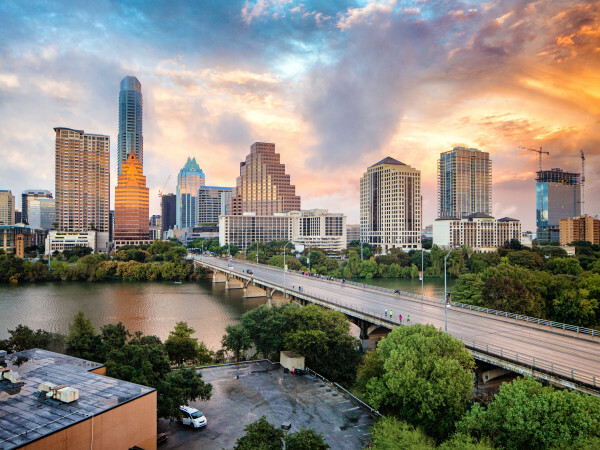 Nothing says spring in Austin like an ice-cold beer in your hand. To get you in the spirit, we're shining a spotlight on the best bars for local craft beers and refreshing brews. Tucked away in Rosedale you'll find Draught House, an English-style pub with local craft brew sensibilities. The fantastic selection of house beers is complemented by an ample offering of guest brews on tap and by the bottle. Look out for a different food truck onsite daily — Quality Seafood Market is the current fave — as well as daily specials. This Tex-Mex Indian gastropub (try saying that five times fast) off I-35 features an excellent craft beer selection with a mix of rare and hard-to-find drafts on tap, mostly from Texan and American breweries. Grab a glass to go along with your queso con chutney, or bag some bottles to-go. Look out for more beers from in-house brewery Kamala Gardens as the company aims to expand. 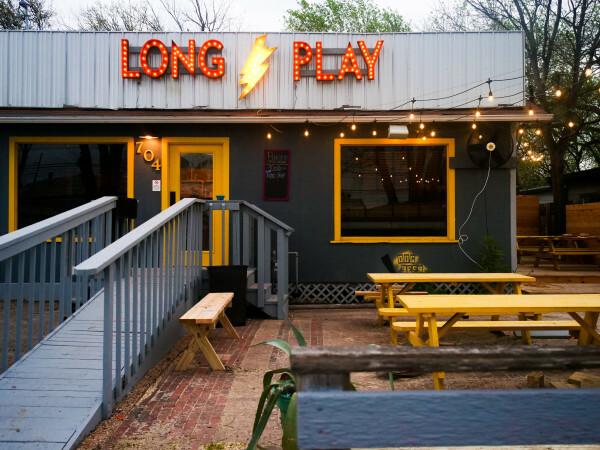 Another bar with a focus on local beer, this spot is the place in South Austin to go for patio time. The sweet beer lineup includes regular and rotating taps from which you can fill your growlers to-go. Regular live music and fun events serve as yet another excuse to visit. Bonus? Veracruz All Natural's migas tacos. This east side hang peddles several kinds of buzzes, with 38 beer taps keeping it fresh. You'll find mostly local breweries on hand, with a few international names mixed in — because who doesn't love een biertje van Brouwerij De Brabandere? 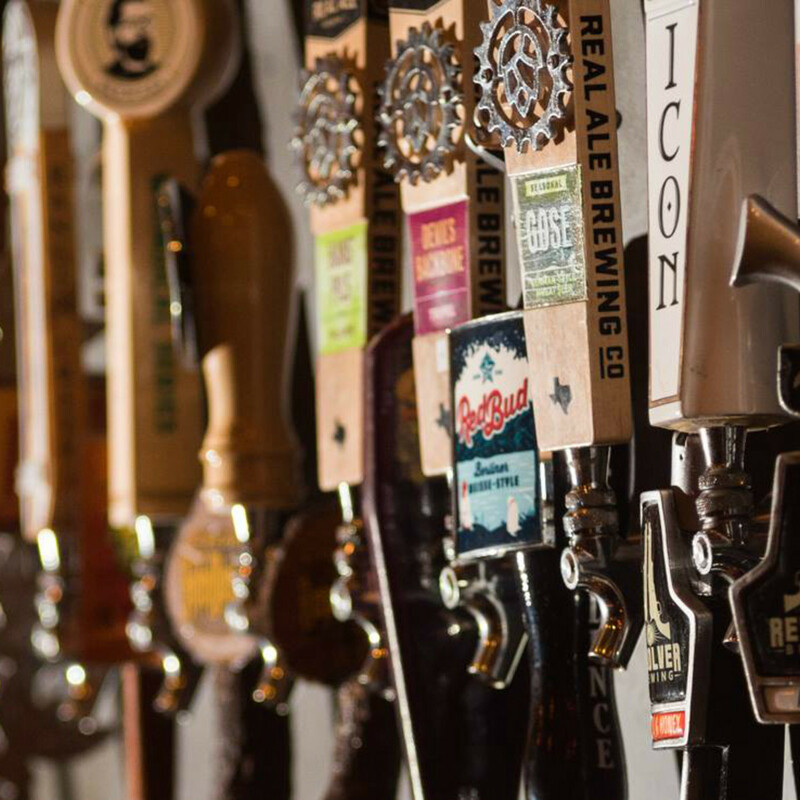 Tune into the East Austin bar's social media channels for updates on new tappings and beer-related events. Amid the beverage-heavy North Loop corridor is this awesome hangout with neighborhoods vibes. 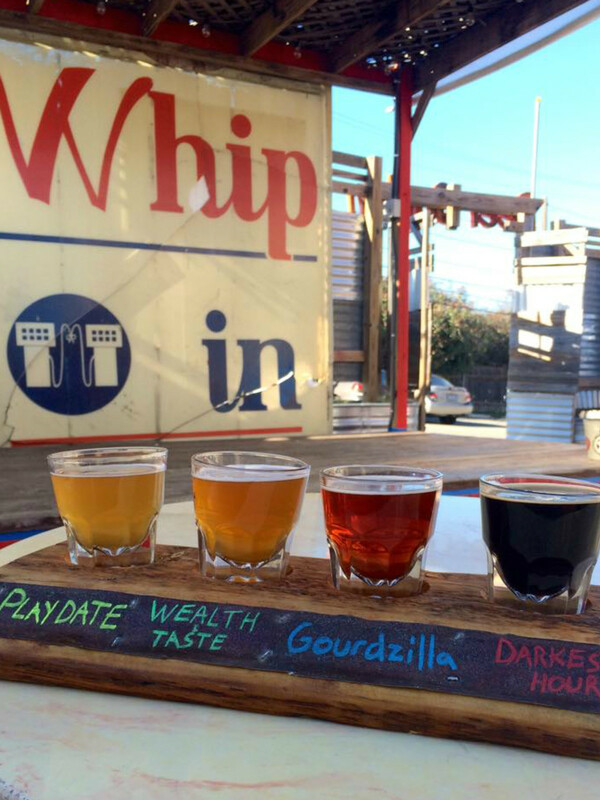 At Workhorse Bar you'll find a bunch of local drafts and some damn tasty food. Plus, select Texas drafts are an affordable $3.00 at all times. 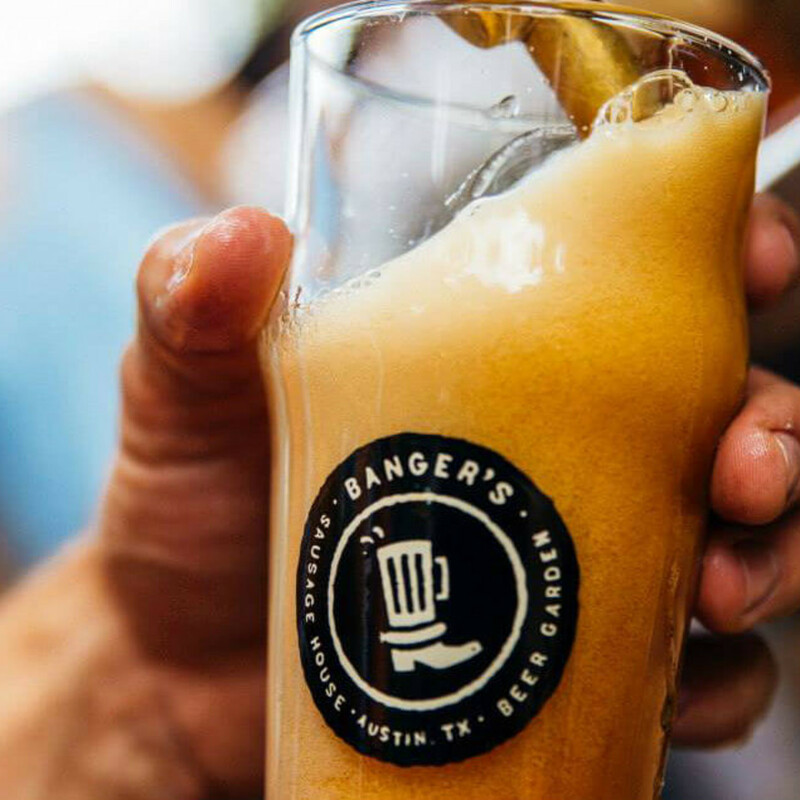 Hi Hat boasts the "freshest craft beer in East Austin," and that tagline comes with some serious weight. Many of the beers on tap are produced within blocks of the pub — Hops & Grain Brewing and Blue Owl Brewing are quite literally around the corner. Simply put, Billy's on Burnet is one of the best burger joints in town — and it boasts 36 brews on taps. Billy's leans toward the local craft scene but doesn't discriminate against non-Texan faves like Deschutes Brewery and Lagunitas Brewing Company. Craft Pride is all Texas, all craft. The crown jewel of this Rainey Street bar is a purely Texan tap wall. Guests can enjoy a pint from one or more of the 54 taps on display. The Bottle Shop in the back lets you snag some of your favorites and take them home to enjoy. Banger's claim to fame is its 100-tap wall — plus the food and giant patio. 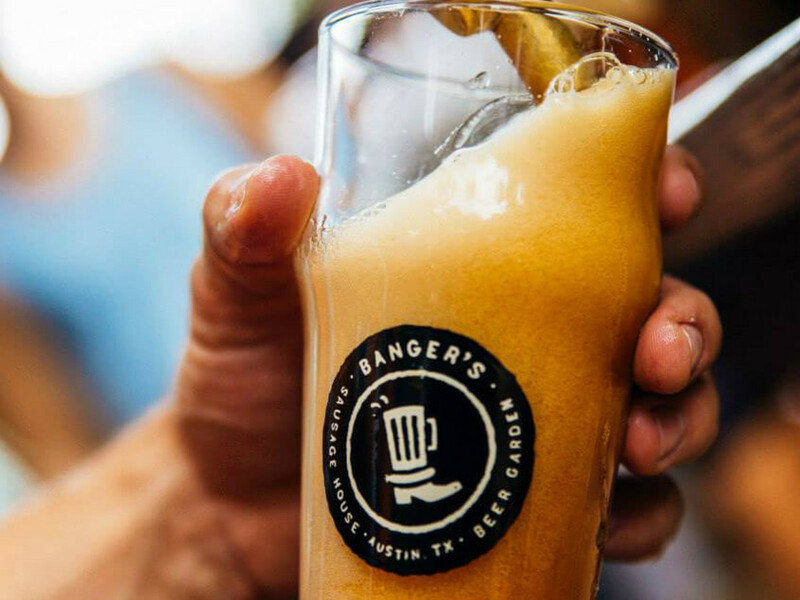 At this Rainey Street gem you'll find regular tappings, rare finds, unique firkins, and more. The staff is well-educated, so don't be afraid to ask for suggestions. Now with locations serving both North and South Austin, Pinthouse Pizza is doubling down with its house beer selection. 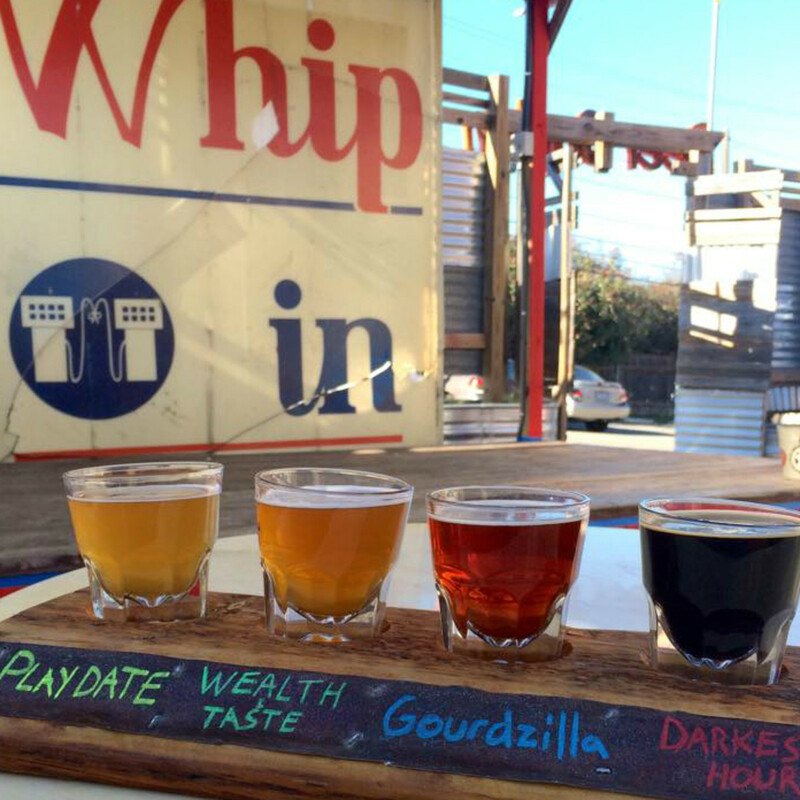 Both spots have fully functioning breweries that showcase slightly different lineups. 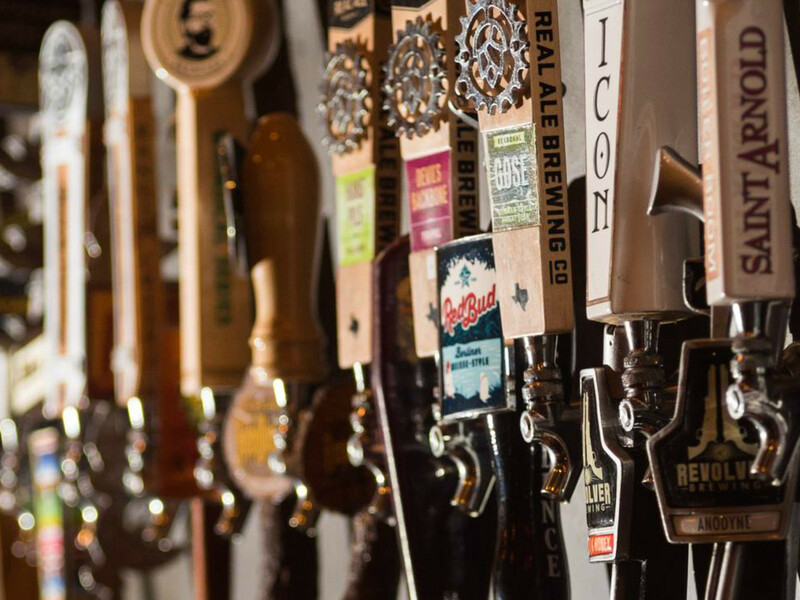 The Burnet Road locale has a well-rounded variety including the very drinkable Iron Genny Pale Ale, while the new South Lamar spot has more hop-focused beers such as the Electric Jellyfish IPA.